Finding health insurance rates is as easy as typing your zip code into the free toolbox above! 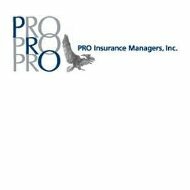 PRO Insurance Managers’ policies are not just for association members–the company has been meeting the insurance needs of individuals and their families, as well as small businesses, since 1951. Policyholders benefit from PRO Insurance’s buying power, which comes about from the size and strength of all of the group members that endorse and buy its policies. As a broker, PRO Insurance Managers works with several different top insurance companies to find the best coverage for each one of its clients. As the endorsed insurance provider to the Direct Sellers Association and other national organizations, PRO Insurance is able to leverage the size of its customer base to get the most competitive rates and flexible policies from the insurance companies that it partners with. National Association of Retail Grocers of the U.S. If you’re looking for health insurance coverage for yourself, your family, or your small business, PRO Insurance Managers can help you get a policy that fits your needs, at a price that fits your budget. Whether you’re a Direct Seller or not, you will benefit from multiple insurance companies competing for your business. PRO Insurance offers a choice of Preferred Provider Organizations (PPOs) and Health Savings Accounts (HSAs). The broker states that these states’ adoption of the “Guaranteed Issue,” which guarantees health insurance to a person whether or not they have a pre-existing medical condition, eliminated its ability to find insurance companies willing to compete on rates in those states. Instead, if you click on the appropriate links on PRO Insurance’s website, the company will lead you to a recommended health insurance provider in each of those states. If you’re just looking for short-term health coverage, you can get policies that range from one to six months, and you can get them as soon as 12:01 a.m. the day after you apply for insurance. Multi-Care is available at a set monthly or annual fee for an individual, two people, or a family, with a 25% discount offered if you pay the annual cost upfront. The Multi-Care plan offers a list of participating providers, and customers are able to see any of the providers on that list. Therefore, if a customer is visiting relatives somewhere else in the U.S., or just traveling on business, they can still take advantage of the healthcare discounts through their Multi-Care plan. Multi-Care is meant as an adjunct to your health insurance policy, so it does not offer any coverage for doctor visits, hospital emergencies, etc. Although PRO Insurance Managers hasn’t asked to be accredited by the Better Business Bureau, the insurance broker has been given a “B” rating from the organization. The BBB assigned this grade mainly because it didn’t have sufficient background information on PRO Insurance and it couldn’t confirm how long PRO Insurance had been in business. In the past three years, PRO Insurance Managers only had one customer complaint filed with the BBB. A web search turned up many listings for this business, but no customer complaints. Satisfaction levels seem to be high with PRO Insurance–a good sign that this is a company you can trust with your business. You can get health insurance quotes right here on this page! Just type your zip code into the boxes above or below.